Are you looking for some insightful tips? 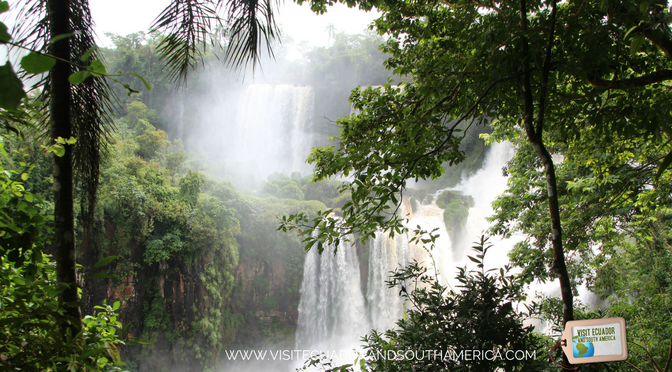 Or do you want to admire inspiring shots of the stunning Iguazú Falls in Argentina? The waterfalls are taller than the Niagara Falls, and twice as wide, and offer its visitors a myriad of spectacular sights. Hence the name. 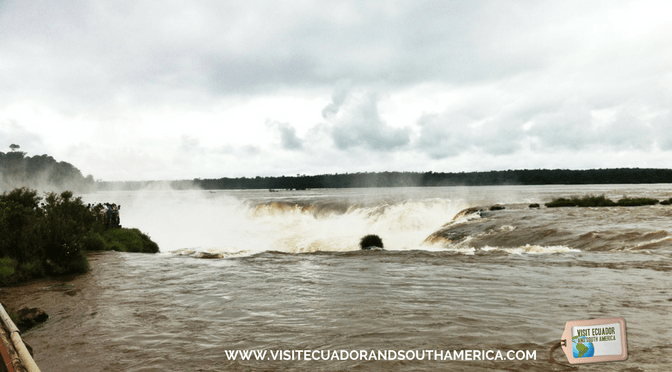 Iguazú comes from Guaraní language, and it means big waters. The falls are located in the Iguazú river, which is on the border between Argentina and Brazil, and are part of the Iguazú National Park (Argentina) and Iguaçu National Park (Brazil), both UNESCO World Heritage Sites. 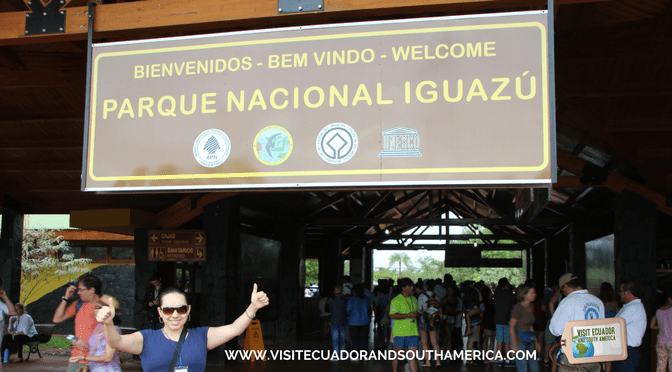 From my personal experience, spending the night in the cozy town of Puerto Iguazu is the perfect option. First of all, it allowed me to spend one day at the Argentinian side of the falls and a second day on the Brazilian side. 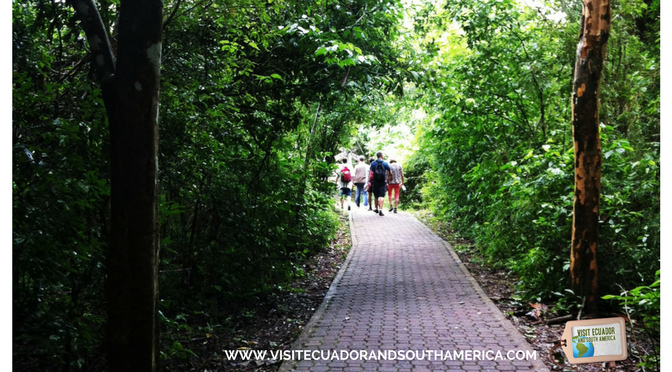 Furthermore, due to its size you can easily walk to Downtown Centro Puerto Iguazu. Here you find restaurants, cafes, shops, super markets and ATM machines. 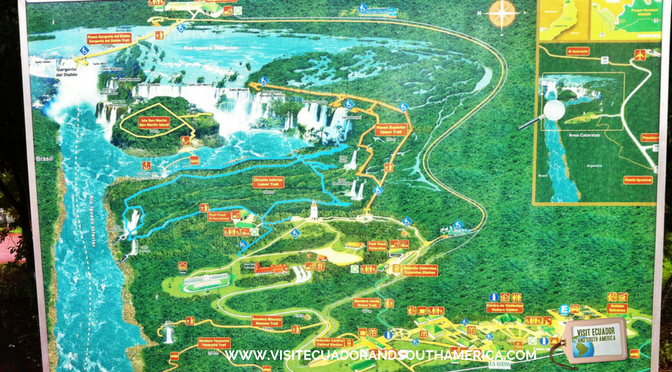 Iguazú Falls is a UNESCO World Heritage Site and in 2011 it became part of the New Seven Wonders of Nature. 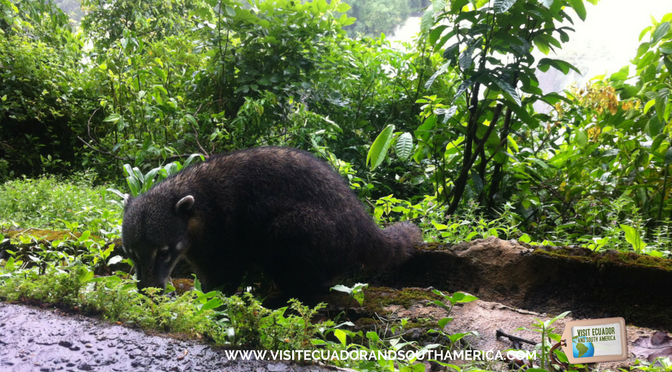 The biodiversity in Iguazú is also worth noting, there are 2,000 plant species and 450 bird species in the park. Numerous islands have resulted in over 150 waterfalls, from which 80 % are located on the Argentinian side. I spent a full day enjoying all the trails on this side of the park, some of them allowing you to see the waterfalls up-close from different perspectives. And of course, getting wet and getting charged with positive vibes by negative ions from the falls is part of the experience. We decided to book a tour to avoid the stress, the planning, to get transportation, and all the hassle. So here you can go ahead and book your tour. If you decide to plan the trip yourself, here are my suggestions on places to stay. I loved staying at Hotel Saint George in Puerto Iguazu in Argentina, the rooms are clean and spacious, the staff is friendly, the hotel provides transportation for free from the airport and it has a lovely pool area that was perfect for relaxing, taking a swim or reading a good book. 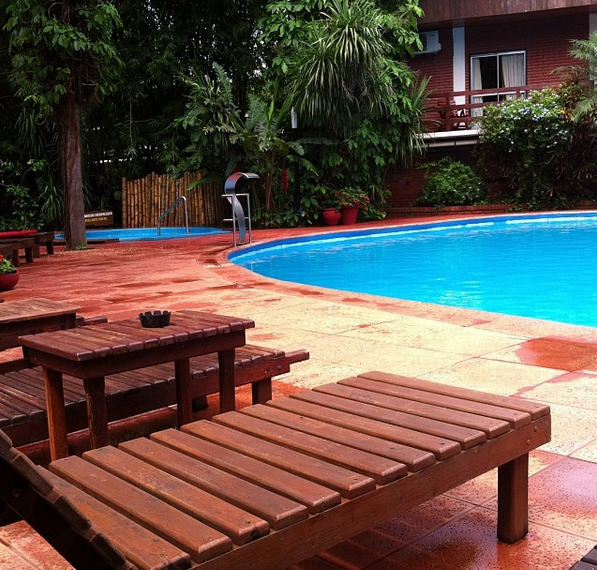 In addition, the hotel is located within walking distance of restaurants and stores in Puerto Iguazu. 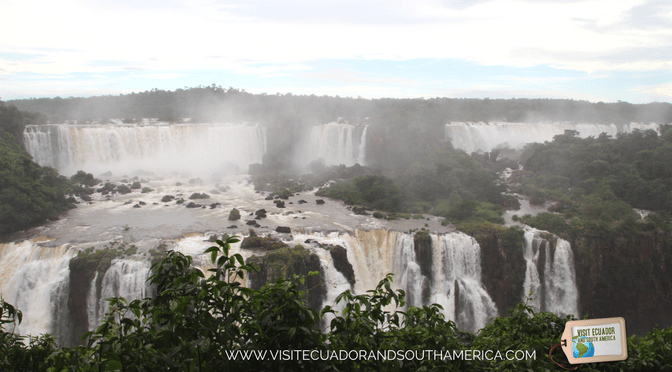 If you want to stay in the park and enjoy the waterfalls from your hotel, there are two options: Sheraton in Argentina and Hotel das Cataratas in Brazil. 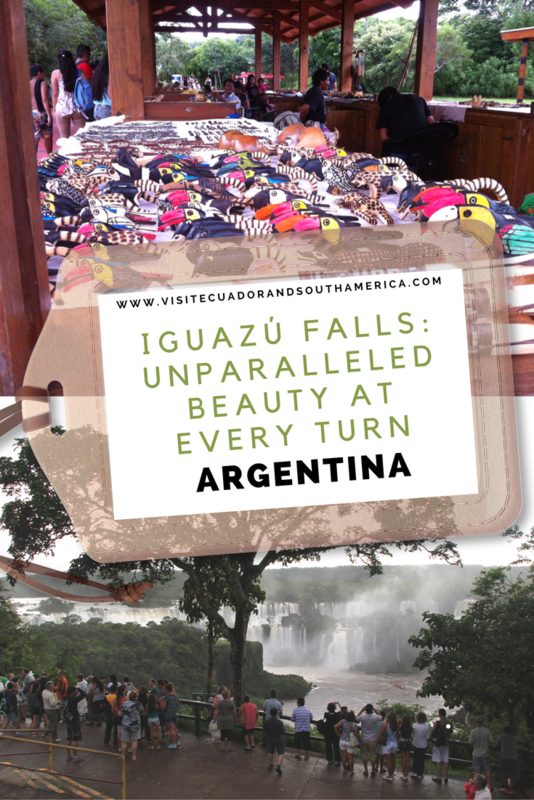 Otherwise take a look at some options of places to stay in Brazil at Foz do Iguaçu or as I did, you can find one of the many great options of places to stay at Puerto Iguazu in Argentina. This natural wonder discovered by spaniard Alvar Núñez de Cabeza de Vaca, is a world heritage site by UNESCO with 3000 visitors each day visiting the park. First, you take an ecological train of the jungle connecting the Central Station and the Devil’s throat. After a 1000 m hike you find balconies or lookout points to see the Devil’s throat and the limit with both countries, to the right hand side the Argentinian side, to the left the Brazilian. 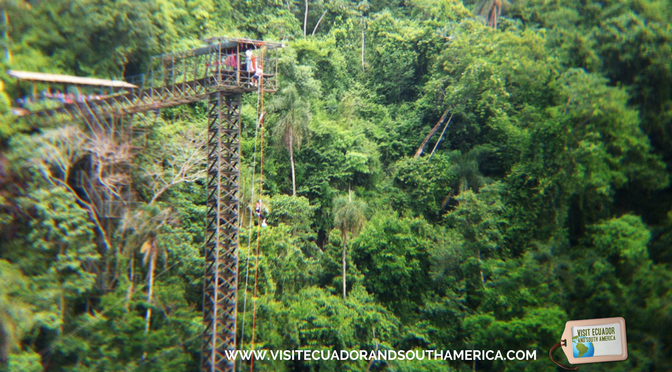 This is a 650 m trail that gives you some astounding panoramic views of the waterfalls from almost the same level. First you reach a balcony with an astonishing view of the Devil’s throat. You will be so close that you will not escape getting wet! You return by the same trail. (Remember to neither feed the animals nor to touch them) There is a good area to stop and enjoy some snacks, food, etc and they will try to get some food. 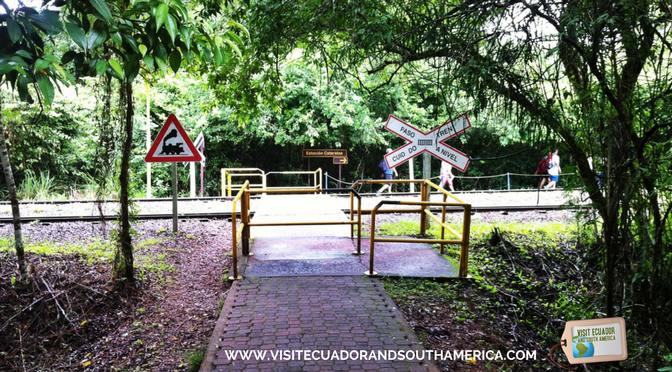 This is a 1600 m long set of trails, offering scenic views from below of the waterfalls. Here you will get another close encounter with the energy of the falls. 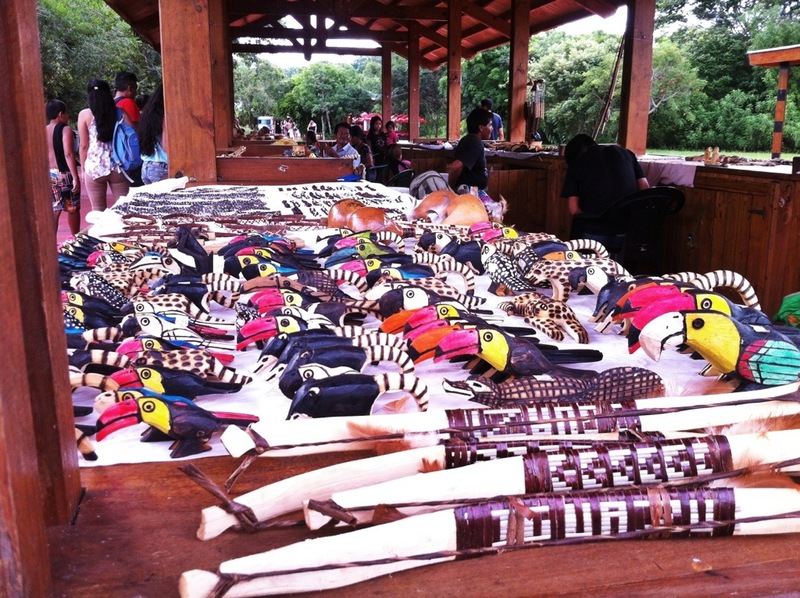 There are restaurants offering fast food, as well as one offering buffet at the Cataratas station, otherwise there are plenty areas offering snacks, souvenirs, in addition to restrooms. 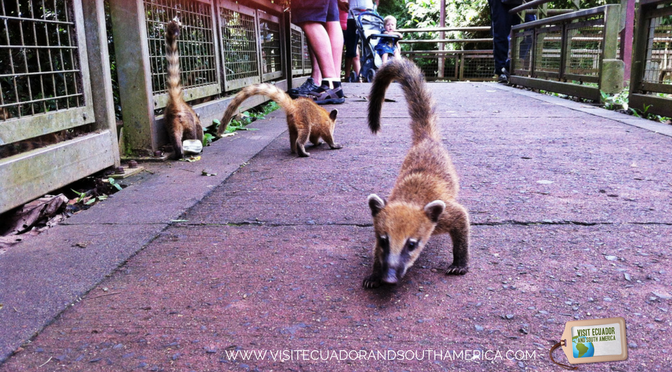 The park has daily 5000 visitors, and opens from 8am, closes at 6pm and there is a public bus “El práctico” free of charge that takes you from Iguazú city to the park. Later on, you can take a motorboat ride and feel the mighty waterfalls from below. 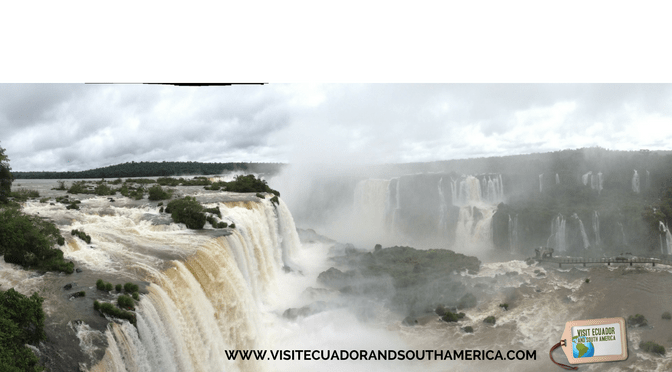 Due to the location of Iguazu, the weather is moist and there is often some rain. Bring a poncho and rain/water gear, and some dry clotes. It is going to get wet at some point. It is also a good idea to bring something to drink and sunscreen, it can get pretty warm. Despite the warmth and vegetation there are almost no bugs. If you take a SLR camera with you to this trip, and want to protect your camera while getting some awesome pictures! Then I would recommend that you get the Professional Rain Cover for Large DSLR Cameras. All in all, Iguazu falls Argentina offers some of the most awe-inspiring views you can imagine. Make sure to add this unforgettable experience to your bucket list! 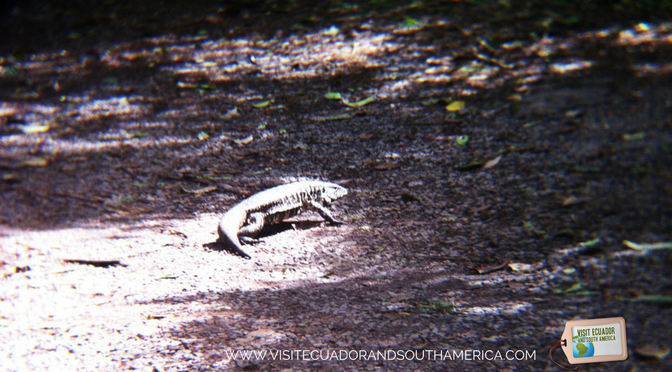 If you need additional and in-depth information from a reliable, well-written travel guide that you can carry around, regarding main attractions to visit, tips, maps and more in this amazing South American country. Then this is the guide that I recommend that you read: The Rough Guide to Argentina . 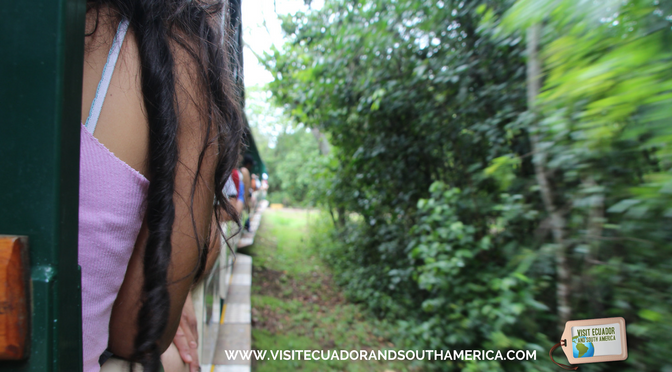 Leave a comment about this post or ask Cristina something you want to know about South America. Wow, these photos are crazy! Thanks for sharing your experiences. Thank you Katie! Happy to see that you liked the photos!